Lisa E Design Blog: It's here! is open for registration! This is a self-paced class filled with inspiration and techniques. Stencils have been around for a long time. The scrapbooking industry has really embraced them in the last couple of years with many of the manufacturers - Hero Arts, Prima, Ranger, Jenni Bowlin - adding stencils to their lines. Crafter's Workshop also offers dozens of designs from wonderful artists. And you can also make your own or use many found objects as stencils. 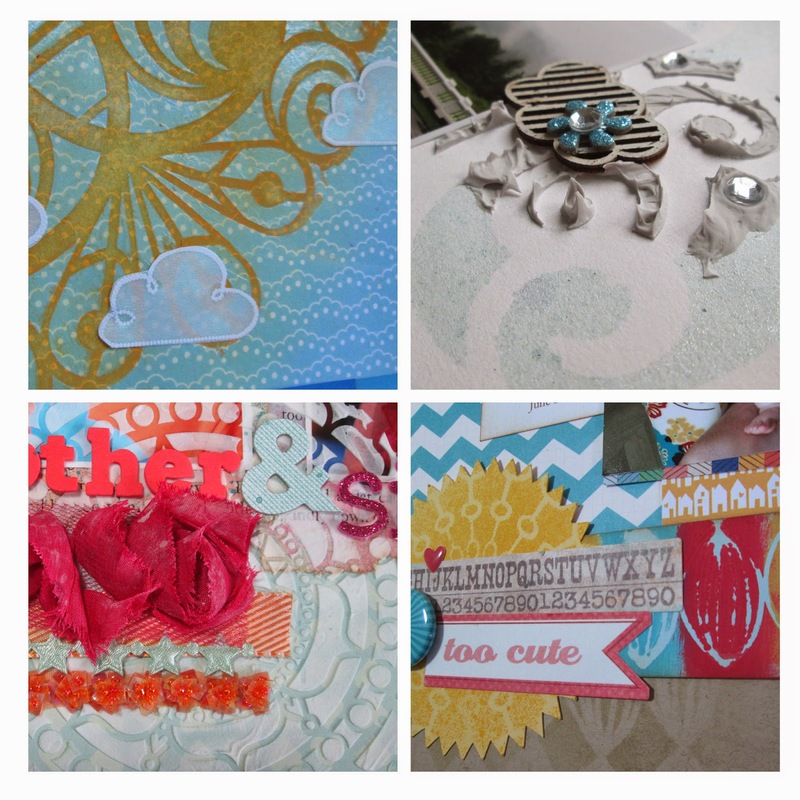 See how to use stencils in your scrapbooking along with many products you probably already have in your stash - mist, inks, craft paint and lots more! Discover multiple ways to use the same stencil to stretch your budget. Learn what to look for when purchasing stencils. Find out how to cut your own stencils on your Cricut or Silhouette. Learn tons of techniques with all kinds of mediums to make your pages even more beautiful and interesting. Stretch your supplies and your imagination. 9 videos totally over 4 hours of video techniques and information. 8 layouts from start to finish. PDF files for all lessons. 7 brand new page sketches. The introductory price is just $20 USD. Register for this class on the class page here. I'm very excited to share these ideas with you. Thank for stopping by today! Sounds like a fun class and just in time to learn something new or brush up on skill for all those holiday cards! Thank you, Leslie. Yes, these techniques could all be applied to cards as well.